Nowadays muffins, cupcakes, tiramisu, and doughnuts fill all shop windows and restaurant menus. Undoubtedly, these world desserts are delicious, but let’s refresh our memory about amazing sweet authentic dishes from Western Ukraine. It has been known about language borrowings and similarities in clothing ornaments of Ukrainians from Western Ukraine with their European neighbors for long time. This assimilation didn’t go round the culinary field. Hungarians, Polacks, Slovaks, and even Germans gifted Western Ukraine a plethora of tasty recipes which are still popular and well-liked. 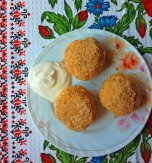 Pliatsok is one more Western Ukraine delicacy. This tasty bakery is something betwixt and between a cake and pastry. Mostly, pliatsky are a sweet dish which is served on a big plate and cut in little square pieces. The name for this dish was borrowed from the Polish language, while recipes themselves were diversified and improved by Halician Ukrainians. 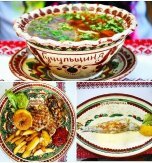 If hombovtsi are, so to speak the dish of the holiday day, pliatsok is the king of Western Ukraine holiday feasts. 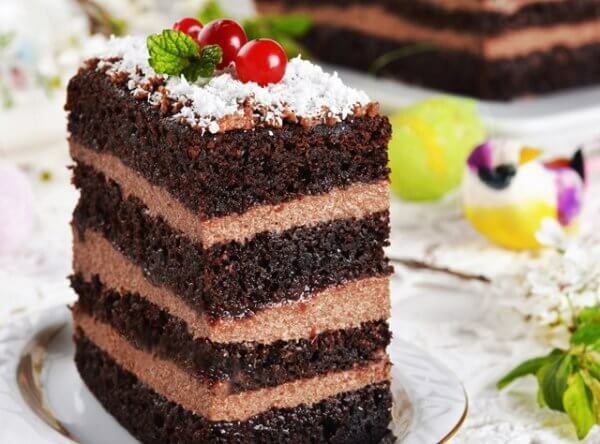 Housewives have competed in smartness, creating refined cakes with different fillings – creams, fruits, marmalade, etc. Today there is a variety of diverse recipes for pliastok. 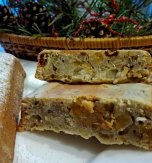 Kiflyky are a festive, mainly Christmas Western Ukraine dish. 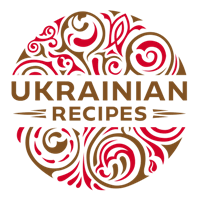 As Ukraine was the part of the Austro-Hungarian Empire, its cuisine has many borrowings from the world-famous bakery of this empire. One of the inherited recipes is the recipe for nut kiflyky which closely resemble Christmas Viennese vanilla “horseshoes.” Rational in cooking (in Austrian manner) and very tender, this dessert just melts in mouth. 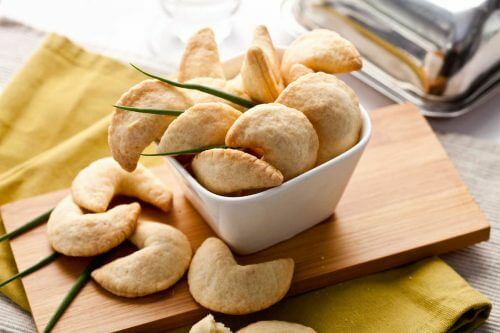 At first sight, kiflyky are similar to crescent rolls. But crescent rolls are cooked with different fillings, while traditional kiflyky are stuffed with nuts or lekvar (Carpathian plum jam). You should really try this delicious Carpathian dessert baked in the form of a horseshoe and topped with powdered sugar. 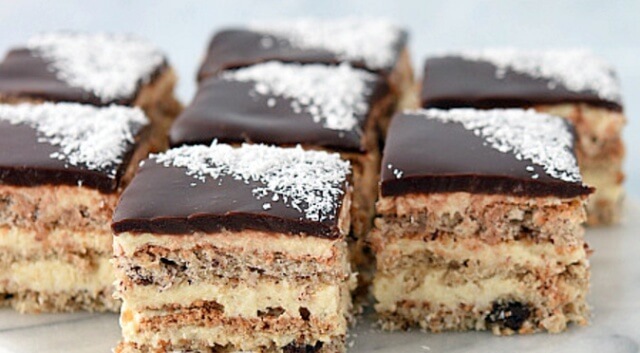 Flodni are a traditional multi-layered pliatsok with Hungarian origin. This shortcrust pastry cake includes the layers of nuts, poppy seeds, and apple. The main feature of this dessert lies in the fact of using chicken or goose lard. You can substitute it with pork fat or dairy butter, but the classic recipe includes exactly the poultry fat. This bakery is very fragrant, tender, and rich. It can be kept for rather long time. The filling is the apple puree which you can replace with a plum or apricot jam. 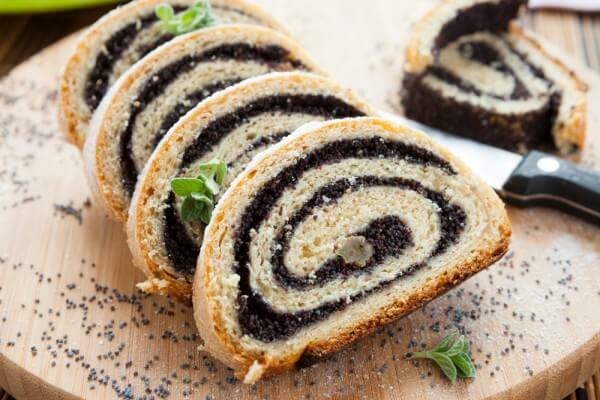 Banyky (shtrugli) are one more type of traditional Carpathian bakery, representing rolls cooked using yeast-fermented dough and filled with poppy seeds, apple, cheese, or nuts. 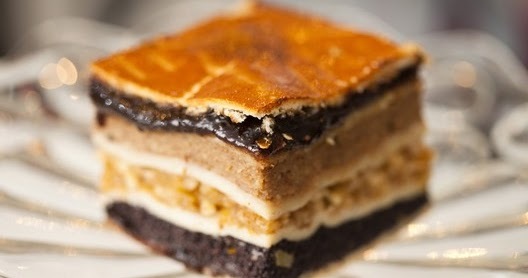 Ukrainian housewives cook this dessert all year round and many modern Ukrainian cafés serve banyky. 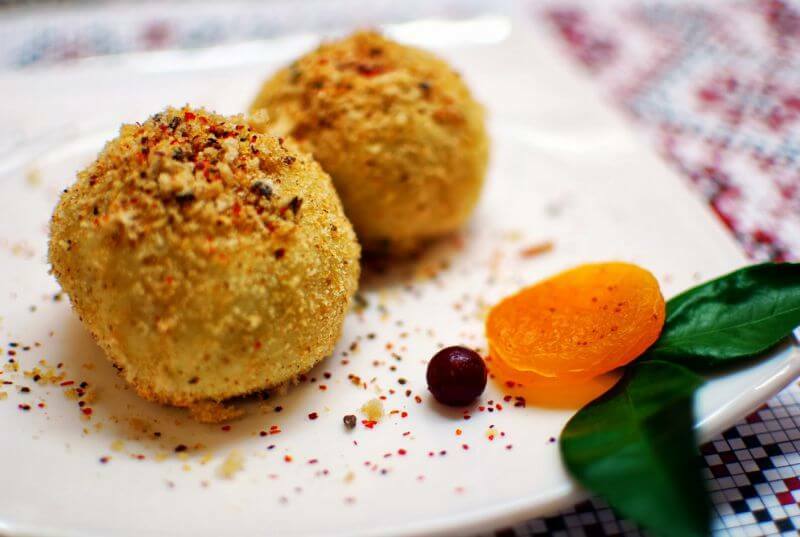 By the way, shtrugli with nuts are in high demand, especially during the fast, since nuts are rich in proteins. 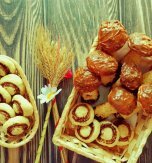 Have you liked the article about delicious bakery from Western Ukraine?